Two centuries later, what’s the secret of Charles Wesley’s undiminished popularity? 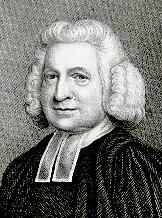 Charles Wesley has been called “the most gifted and indefatigable hymnwriter that England has ever known.” He wrote more hymns, probably, than anyone before or since (save perhaps the blind Fanny Crosby). Frank Baker has calculated that Charles wrote, on the average, ten lines of verse a day for over fifty years. He must have written nearly ten thousand hymns or religious poems. The Collected Poems of John and Charles Wesley—by far the greater part by Charles—fill thirteen volumes, and much is only now being published. In the English-speaking world, we probably sing hymns by Charles Wesley more often than we sing the work of any other hymn writer. But more than quantity is usefulness. In so many ways his hymns are indispensable to our worship. Where would we be at Christmas without “Hark! The Herald Angels Sing”? At Easter without “Love’s Redeeming Work Is Done” or “Christ the Lord Is Risen Today”? At Pentecost without “Come, Holy Ghost, Thine Influence Shed”? These hymns are two hundred years old. Why are they still sung today?